For providing a grant for the sustainability project without which much of the work of the HPA could not have gone ahead. For funding, general support and supply of images. For providing a community grant that contributed to the work of the HPA. For printing our brochures, heritage trails and other sundry printing. For website planning and layout, and project support. 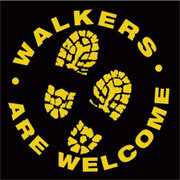 For walk input and participation in the Brownsham Walk film. For web build and technical support. For the heritage content of the Heritage Trail series. For initial website design, branding and graphic design of Heritage Treasure Trails and sundry printing. For the Hartland Treasure Trail. For the Hartland film, Elmscott Walk video and Brownsham Walk video. For affilliation and promotional support.